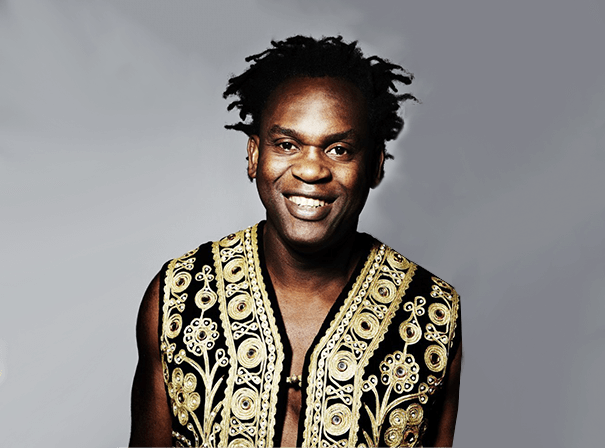 Alban Nwapa, aka Dr Alban, is the voice behind worldwide 90s smash ‘It’s My Life’. Alban Nwapa grew up listening to Fela Kuti and James Brown. At age 23, he began studying dentistry. In order to be able to finance his university studies, Nwapa started making his own music. During this time he worked as a DJ in the well-known Stockholm club Alphabet Street. Very quickly his name became widely known, especially since Alban often sang to the records he put on the turntables as a DJ. In 1990 he met Deniiz Pop from the SweMix label; together with Denniz and Rap-Queen Leila K came his first record Hello Africa and broke all records. Alban Nwapa took the stage name Dr. Alban, a nod to his dental studies. His debut album Hello Africa sold roughly one million copies worldwide. One year later this success was surpassed by the second album One Love. 1.6 million copies of the song ‘It’s My Life’ were sold and was #1 in the Netherlands, Israel and Germany and #2 in the UK, while the following single One Love was #5 in Israel. The album immediately sold over 1.7 million units. Shortly after came the albums Look Who’s Talking and Born In Africa. All in all, Dr. Alban has racked up worldwide sales of over five million copies of his albums and over six million copies of his singles, which resulted in seven times Silver, thirty times Gold and thirty times Platinum.